About 10 years ago, the Village of Bridgeview, Illinois passed ordinances banning the sale of alcoholic beverages at new adult businesses. The one existing adult business in the Village was exempted from the regulation. Plaintiff (a business that wanted to open up a new adult business in the Village) filed suit challenging the ordinances on a variety of constitutional bases, including that they were unconstitutional under the First Amendment. The district court struck down that portion of the ordinance that banned alcohol sales at adult businesses, finding that.imposing this restriction only at new adult businesses was unreasonable. The court determined that the Village could not provide a valid justification for treating new businesses differently from the existing business. Since the ordinance establishing the restriction included a justification that the sale and consumption of alcoholic beverages in an adult business had adverse secondary effects, and these secondary effects would presumably occur at old or new businesses, the court found the restriction unconstitutional. The case was remanded to address plaintiff’s other arguments, including whether there were reasonable opportunities to express adult speech. 7421 West 100th Place Corp. v. Village of Bridgeview, 2016 WL 5373062 (ND IL 9/26/16). Legislature Tries to Take All the Fun Out of Pokemon Go! Readers who play Pokemon Go, as well as government property owners with pokestops and gyms located on their properties (virtually, of course) may be interested in legislation proposed by the Illinois House in August. HB 6601 is called the Location-based Video Game Protection Act. 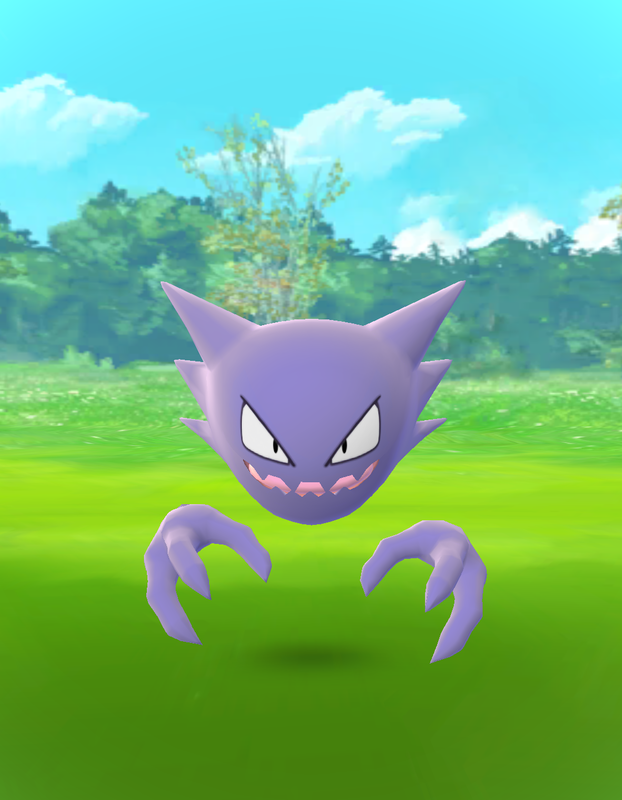 If this bill passes, property owners or agents (which would include municipalities, park districts, and other public and private property owners) would be authorized to request the removal of sites on ecologically sensitive or historically significant properties, sites that are deemed dangerous by the property owner, and sites on privately owned propertyfrom the Pokemon Go game (or similar location based video game). Once the video game developer receives a request, it has 2 business days to remove the site from the game, and a failure or refusal subjects the violator to fines of $100 per day. I think it's unlikely this bill will pass and question whether the law could even be enforced if it does. But, it's Friday, and it's the most interesting bill I've read recently. By the way, this little gem is "Haunter." We have written often on this blog about the Public Access Counselor's (PAC) opinions interpreting Section 2.06(g) of the Open Meetings Act regarding public comment at meetings. Most of these opinions have been advisory opinions, which are unfortunately not readily available for public view or access. One of these advisory opinions recently came to our attention, and although it is not binding on other public bodies, it does provide guidance to public bodies in establishing rules for public comment at meetings. 2015 PAC 38037. In 2015, an individual filed a request for review with the PAC alleging that a city council violated the OMA by (1) limiting public comment at its meeting to matters on the agenda and (2) prohibiting non-residents from participating in public comment. The PAC reviewed the minutes of the meeting at which the alleged violation occurred, and noted that the Mayor had announced that "comments would be limited to the agenda and would be limited to citizens of the city only." With respect to the city council's limitation of public comment to agenda items, the PAC determined that this violated the OMA because (i) the city had not established written rules and (ii) even if it had rules in place, this type of restriction would exceed the scope of permissible rulemaking because a public body can discuss (but not vote on) matters not listed on the agenda. Although not well explained in the opinion, it appears that the PAC is extending the public body's right to discuss non-agenda matters to the public during public comment. This varies somewhat from a previous PAC opinion that upheld a public body's limitation on public comment to agenda items. 2012 PAC 20198. The distinction may be that the 2012 opinion dealt with a special meeting rather than a regular meeting, and the OMA restricts both discussion and action at special meetings to only those matters listed on the agenda. Oddly, the PAC doesn't make that distinction in the more recent opinion. On the claim that the city's ban on non-resident public comment, the PAC also found that to violate the OMA because 2.06(g) specifically provides that "any person shall be permitted an opportunity to address public officials." (emphasis added). Although the PAC acknowledged that a public body can adopt reasonable rules to govern public comment, "a person's right to comment at an open meeting is not contingent upon where he or she resides." In short, the PAC takes the position that a public body's rules on public comment cannot (1) restrict comments to agenda items only (except at a special meeting, if the PAC still acknowledges its 2012 opinion cited above) and (2) limit the opportunity for public comment to residents only. Although the opinion is non-binding, if a public body were to be the subject of a similar complaint, the PAC would likely take the same position. To avoid that, public bodies should ensure they have adopted written rules for public comment that comply with the various opinions issued by the PAC. Based on this opinion, the rules should not restrict public comment to residents only, nor to agenda items, at least not at regular meetings. To ensure compliance with this opinion, a public body could provide one general public comment period at its meetings that is non-restrictive (i.e., allows comment on agenda and non-agenda items). Alternatively, a public body could provide two public comment periods, one for agenda items and one for non-agenda items. An individual who was the subject of an investigation by the Department of Homeland Security filed a FOIA request (with assistance from the Heartland Alliance National Immigrant Justice Center) seeking information from the Department about the identify of Tier III terrorist groups. The federal agency denied the request, citing section 7(E) of the Federal FOIA which exempts records that would reveal techniques and procedures for law enforcement investigations or prosecutions. The Justice Center subsequently filed a lawsuit with the district court to appeal the Department's denial. That court ruled in favor of the federal agency and dismissed the lawsuit. Tier I and Tier II organizations are publicly identified terrorist groups such as ISIS and al‐Qaeda. Tier III organizations are defined in 8 U.S.C. § 1182(a)(3)(B)(vi)(III) as any group of two or more people that engages in terrorist activity (as defined in 8 U.S.C. § 1182(a)(3)(B)(iv)), even if their terrorist activity is conducted exclusively against regimes that are enemies of the United States. Tier III organizations tend to have a lower profile than Tier I’s or Tier II’s, not only because the government does not publish their names but also because they tend to be groups about which the U.S. government does not have good intelligence. With Election Day fast approaching, employers should be aware of their obligations to employees who wish to vote. While no federal laws require employers to give employees time off to vote, many states have passed such laws. Illinois is one of those states. Illinois law (10 ILCS 5/17-15) requires employers to give employees two consecutive hours of paid time off on the day of an election in order to vote. This two hours of time off can only take place during the time that the polls are open, which this year will be from 6 a.m. to 7 p.m. So, this law does not permit employees to take time off from work for early voting. Employees must request time off to vote prior to Election Day. Employees who are not required to work for a two hour time period after the polls open or before they close are not entitled to time off from work. This means that an employee who works a shift from 10 a.m. to 3 p.m. would not be able to request two hours off to vote. Employers can specify when their employees can take their time off. Only employees who are eligible to vote may take time off to do so. That means that unregistered voters or those employees who do not have the right to vote (i.e. felons, non-citizens, etc.) cannot request time off to vote. Employers have the right to ask an employee to provide proof of his or her eligibility prior to providing time off to vote. Employers must provide their employees with time off to vote for every election, not just state and federal elections. This means that an employee has a right to two hours of time off to vote in a municipal election. However, employers do not have to provide employees with time off to vote in a primary. Only general or special elections are covered by Illinois law. Employers with 25 or more employees also must permit an employee to take time off to serve as an election judge. However, an employee must provide his or her employer with 20 days of written notice prior to taking time off to serve as an election judge. An employer is not required to pay an employee for this time off. For all of you local government attorneys out there, the 4th Annual Local Government Law Institute hosted by IICLE is almost here! This year's day-long seminar will include sessions on employee discipline, financing municipal improvements, dealing with challenging boards, sunshine laws, hot topics such as home and car-sharing, and a special "in-house counsel" panel discussion. As always, the seminar will conclude with a networking cocktail reception at 4:30 pm. Learn about the most recent legal developments affecting local government, including new and pending legislation, as well as analysis of relevant cases from the U.S. Supreme Court and Illinois courts. General trends in municipal litigation and the impact of the ongoing Springfield budget impasse on municipalities will also be covered. A straightforward discussion on issues related to discipline and termination of key local government employees, and differences based on employee contracts, unionized employees and collective bargaining agreements, and civil service employee protections. Learn about best practices for implementing all types of employment decisions. This session will also contrast arbitration with Civil Service/BFPC proceedings, and offer advice on how to successfully handle all forms of sensitive employment decisions. Municipalities requiring major public improvements often struggle with revenue and other fiscal restrictions. Learn how municipalities can effectively finance necessary public improvements through both traditional and more complex and creative methods, including public-private partnerships and tax increment financing options. One of the most sensitive aspects of representing local governments is navigating the often challenging dynamics of the corporate authorities and the public and applicants that participate in meetings. This interactive session will help you anticipate and handle tricky situations such as navigating intra-board disputes and board vs. manager disputes, dealing with difficult residents, and handling outspoken employees. During our annual “lunch & learn” session, each member of our top-notch faculty will lead a small-group discussion on the ethical and practical dilemma of electronic messaging that confronts every elected and appointed public official. Recent cases on this topic will also be analyzed. The Illinois Freedom of Information and Open Meetings Acts impact all aspects of local governance. In addition to the most common uses of FOIA requests and OMA requirements, these statutes are now used to obtain information on matters ranging from marital disputes to estate litigation. This session will review the latest case law, amendments, and AG opinions. Hypothetical scenarios will help explain the procedures, exemptions, and enforcement options under FOIA and the OMA. Identifying “public bodies” and “public records,” protecting sensitive records, and a discussion of the ethical aspects of public disclosure laws will also be covered. Now is the time to ask your own “cocktail party questions!” Join the faculty and other participants for food and drinks and add to your referral and professional network. All planning committee and faculty members will be in attendance and this event is included with your tuition. As most public officials know, the Illinois constitution prohibits an elected official’s compensation from being increased or decreased during the official’s term of office. With the 2017 local elections rapidly approaching, public bodies that want to change the salaries of the officials who will be elected at the April 4, 2017 election must do so at least 180 days prior to the date when the elected officials would take office, as discussed below. What is the deadline for establishing compensation? Section 2 of the Local Government Officer Compensation Act specifies that compensation of elected officers “shall be fixed at least 180 days before the beginning of the terms of the officers whose compensation is to be fixed.” 50 ILCS 145/2. While the 180 day calculation seems simple, it will likely be different for many local governments. For example, for townships, it is easy to calculate the 180 days, because all township officials, except assessors, take office on the third Monday in May, which will be May 15, 2017. 60 ILCS 1/50-15. Township boards are also required to set the salary of the township assessor at the same time they set the compensation for the supervisor, so the same deadline applies, even though new assessors will not be seated until the following January 1st. See 35 ILCS 200/2-70. So, for all townships, the latest date to set compensation of newly-elected officials is November 16, 2016. The deadline for setting compensation gets murkier with other local governments that do not have fixed dates for their officers taking office. School boards generally seat new members at their organizational meetings, but dates for those meetings may vary. Park boards usually install officers at their first meetings after they receive their vote results. The Illinois Municipal Code specifies that terms for municipal elected officials commence “at the first regular or special meeting of the corporate authorities after receipt of the official election results from the county clerk…unless as otherwise provided by ordinance,” but then that ordinance cannot fix the date later than the first regular or special meeting in the month of June after the election. 65 ILCS 5/3.1-10-15. The challenge with this requirement is that the date that elected officials take office following the election varies depending on the form of government and, at times, upon the public body’s receipt of the election results. It is somewhat surprising that the 180 days does not match up to a uniform date when all elected officials take place, so each governmental body will have to guess when they will receive the vote results from the election authority and compute the applicable date. So, it is possible that you will not actually know precisely when 180 days in advance will be. Elected officials begin their term of office at the first regular or special meeting of the corporate authorizes after the receipt of the official election results from the county clerk. Typically, these meetings happen in May, following the election. Because the date on which the new officials take office is different in various communities, some careful effort should be taken to make sure the date of any salary change is early enough so that no challenge can be made to the action. Certainly, the safest approach is to adopt any compensation ordinance well in advance of the deadline. The safest way to handle this is to act now, if you have not yet done so. If you want to know the precise date that applies to your public body, speak with your local government attorney. There are likely several reasons for this requirement. One reason is that the rule prevents elected officials from giving themselves raises (or lowering compensation of rivals who won) in between the time of the election and the time that they will take office. Another reason is that they have to set compensation before candidates have even filed petitions to run for the office, so this prevents officials from basing compensation decisions on the identities and personalities of candidates with few people in the race. Does the new compensation apply to all of the elected officials? No. Any changes in compensation for people holding the same office (for example, village trustees) only apply to the officials who are elected at the April 4, 2017 election, not those elected in 2015. Therefore, it is possible that trustees may be paid differently depending on when they were elected. Does the prohibition against changing elected officials’ compensation during their term of office mean that their compensation has to be the same for the whole term? An increase or decrease in the salary of an elected officer of any unit of local government shall not take effect during the term for which that officer is elected. Yes. We recommend that your legislative act regarding compensation be enacted in writing – either a resolution or ordinance, instead of a motion memorialized in meeting minutes. It is much easier to review later if a question arises when it is in writing. We also recommend that it contain all elements of compensation – not just salary. Specify other benefits, such as health insurance eligibility, IMRF eligibility, etc. within the ordinance or resolution. Please contact our office (or consult with your local government attorney) if you have any questions. In January of this year, we identified what we thought would be the five hottest labor and employment topics in 2016. The topics included the change in the DOL overtime rules, naturally; transgender rights, obviously; and paid sick leave. Last week the County of Cook joined the City of Chicago and a number of other local governmental bodies in passing an ordinance mandating paid sick leave to employees who work in the County. Similar to the ordinance mandating sick leave recently enacted by the City of Chicago, employees in Cook County are entitled to accrue up to 40 hours of sick leave each year and carry over up to half of that time into the next year according to a recent ordinance adopted by the Cook County Board of Commissioners. 2. work at least 80 hours for a covered employer in any 120-day period. Interestingly, the ordinance states that compensated time spent traveling in Cook County, including for deliveries and sales calls and for travel related to other business activity taking place in the County, can count toward the two-hour requirement except that certain railroad employees are not covered by the ordinance. So, a business that is located outside of Cook County, but does business inside of the County and sends its employees into the County, will be covered by the ordinance. While government entities are exempt under the ordinance, it appears that those entities can also pass their own ordinances exempting employers in their boundaries from coverage under the County ordinance. A number of municipalities in the County have already expressed their intent to take that action although the ordinance does not take effect until July 2017. In addition to municipalities "opting out" of the ordinance’s coverage, a question exists as to the overall legality of the ordinance itself. Apparently prior to adopting the ordinance, the Cook County State’s Attorney’s Office (which serves as the lawyer to the County Board of Commissioners) provided certain commissioners on the County Board with an opinion that it did not have the authority to enact or enforce the ordinance. That opinion has been the subject of at least one recent news story about the policy previously established by Cook County Commissioners on obtaining legal opinions from the State's Attorney. While employers in the County who already provide at least 40 hours of paid sick leave or PTO time to their employees remain unaffected by the ordinance, other employers should stay tuned to see how this ordinance plays out. In two recent cases decided by the Seventh Circuit Court of Appeals, the court addressed (and rejected) a variety of constitutional claims by taxi companies that the Cities of Chicago and Milwaukee treated taxi companies and businesses less favorably than ridesharing services.Illinois Transportation Trade Association v. City of Chicago (7th Cir. October 7, 2016) and Joe Sanfelippo Cabs, Inc. v. City of Milwaukee (7th Cir. October 7, 2016). The first case addressed a challenge to Chicago's ordinance that establishes taxi rates throughout the City. Taxi companies claim this ordinance violated their equal protection rights, as well as other constitutional protections, because the City does not apply the established rate schedule to ridesharing companies, such as Uber and Lyft. The taxi companies also claimed that the City had taken their property without just compensation, in violation of the Fifth Amendment to the U.S. Constitution. The court rejected all of the taxi companies' arguments, and ruled against the taxi companies. First, the court held that the Fifth Amendment property right does not include a right to be free from competition. Second, the court held that Chicago's different treatment of taxi companies and ridesharing services was not discriminatory because there were sufficient differences between the two types of services to support different regulatory treatment. The court likened it to a municipality's licensing scheme that requires licenses for dogs, but not cats. The second case (decided the same day) challenged Milwaukee's increase in the number of taxi permits, which plaintiffs argued had taken away their property rights in violation of the Fifth Amendment because the value of their permits was substantially decreased. Plaintiffs also claimed that the increase in the number of taxi permits allowed ridesharing companies to substitute for conventional taxicab services, thus diminishing the profitability of existing taxi companies. The Seventh Circuit rejected the taxi companies' argument, finding that it "borders on the absurd." First, the court determined that a taxi permit confers only a right to operate a taxicab, not a right to exclude others from operating taxis. Second, the court held that the City had the right to modify its permit ordinance at any time, so companies were on notice that they could face new competition in the future. Third, the court did not find the taxi companies' argument that ridesharing services would destroy the taxi business very persuasive, noting that buses and subways had not destroyed the taxi business. neither a local public entity nor a public employee is liable for an injury caused by a condition of…any hiking, riding, fishing, or hunting trail. 745 ILCS 10/3-107(b). This immunity is absolute even for willful and wanton conduct. One of the questions courts have struggled with is how to determine if a bike path can be considered a riding trail under this statute, which would provide a local government entity absolute immunity. In Corbett v. The County of Lake, an appellate court addresses that question. Corbett was seriously injured while riding her bicycle on Old Skokie Bike Path in Lake County. While riding with friends along the bike path, the person two bikes ahead of her hit a bump and lost control of his bicycle. Corbett, with no place to go, rode over him and his bike, and was thrown off her bike, falling hard onto the paved surface. Corbett sued both Lake County and the City of Highland Park, claiming that they were both responsible for her injuries, and that Section 3-107(b) did not provide absolute immunity because the bike path is not a riding trail. The trial court ruled in favor of the City and County, finding absolute immunity under Section 3-107(b). Corbett appealed the judgment in favor of the City. As a matter of law, this restriction defeats the City’s assertion that the path is a riding or hiking trail. No contention has been made that the path is located in a mountainous region (mountains being scarce in Lake County). No serious contention can be made that the path is located in a forest; no reasonable person who views the photographs of the path and its surroundings, or even reads their descriptions by those who have seen them, would describe those surroundings as a forest. The path is bordered by narrow bands of greenway that sport some shrubs and a few trees; these narrow bands are surrounded by industrial development, residential neighborhoods, parking lots, railroad tracks, and major vehicular thoroughfares (to the east and south of the area of the accident). The case for considering the path a riding trail would not succeed even if utility poles could be considered trees with power lines for branches. On September 27, 2016, a federal district court judge issued a ruling in Harlan, et al. v. Scholz, et al., blocking counties from implementing election day registration. Just this week (October 4, 2016), an appellate court issued a "stay" of that ruling, pending further proceedings. SB 172, signed into law by then-Governor Quinn, provided that certain Illinois counties (i.e., counties with a population of 100,000 or more and counties with electronic polling books) must provide voters with the option of registering to vote at any polling place on election day. Counties with a population of less than 100,000 that do not have electronic polling books were exempt from the new mandate. Plaintiffs filed a lawsuit to challenge the law and alleged that their interests were to “protect the rights of United States citizens in the low-population counties without electronic polling books to ensure that they have the same opportunity to vote as voters in high-population counties.” Plaintiffs asked the court to block implementation of the election day registration. The federal district court ruled in favor of the plaintiffs, holding that they satisfied the requirements for a preliminary injunction against implementation of the law. The court found irreparable harm to the voters if, among other things, their right to vote and register to vote in smaller counties was not the same as those with higher populations and electronic polling books. The court also accepted plaintiffs’ argument that the availability of polling place registration would increase voter turn-out in high-population counties as compared to the counties that were not covered under the law. The court rejected the defendants’ argument that geographical classifications are necessary for the implementation of the election day registration system. When balancing the harms to the parties, the court found that plaintiffs would be harmed by the unfair advantage given to more populous counties over less populous ones. Since the district court's ruling was issued, the Illinois Attorney General filed an appeal, and the appellate court stayed the district court’s ruling, meaning that at least for now, election day registration is not blocked, pending further proceedings. We will update this blog as the same-day registration battles rages on. We previously reported on the new law that places new obligations on local governments regarding reimbursement of local officials' expenses. P.A. 99-604 goes into effect on January 1, 2017, so we want to remind units of government that are required to comply with the new law that they need to adopt a local policy on expense reimbursement that incorporates these new obligations and limitations. The Local Government Travel Expense Control Act applies to school districts, community college districts, counties, municipalities, townships, special districts (i.e., park districts, library districts, fire protection districts, etc), and various other units of local government. Home-rule units of government are not subject to the new law. Although the law takes effect on January 1, 2017, local governments have 180 days in which to adopt the local expense reimbursement policy (June 30, 2017), and 60 days to begin approving expenses that exceed the maximum reimbursement established by the local policy and expenses by members of the corporate authorities (March 1, 2017). These time-frames are somewhat inconsistent - without having a policy in place to establish the maximum allowable reimbursement (section 10), it is not clear what expenses will have to be approved by the corporate authorities as required by section 25. Because of this, it may be advisable to have a policy in place sooner rather than later, and at the very least no later than March 1, 2017. The various provisions of the law are summarized below. 1. The types of official business for which travel, meal, and lodging expenses are allowed. 2. The maximum allowable reimbursement for travel, meal, and lodging expenses. the dates and nature of the official business in which the expenses were or will be expended. If a government fails to adopt a local reimbursement policy, the law provides that no travel, meal or lodging expenses may be paid by the government. In addition to adopting a formal policy, the new law requires covered units of local government to formally approve any expense that exceeds the maximum allowed under the local policy and to approve all expenses incurred by members of the corporate authorities. These approvals must be by the corporate authorities and by roll call vote at an open meeting. So, covered units of local government will have to put together and approve a local reimbursement policy, and ensure that any expenses reimbursed by the government comply with that policy as well as the statutory ban on entertainment expenses. The Attorney General (Public Access Counselor office) has taken a broad interpretation of that requirement and opined that all public bodies (including subsidiary bodies) must provide public comment at all meetings that are subject to the Open Meetings Act. We've discussed many of the Attorney General's opinions on public comment, and the types of restrictions that the Attorney General has determined are acceptable (and not acceptable). A public body can determine when public comment is allowed at a particular meeting. For example, a public body can schedule public comment at the end of the meeting, after agenda items have been voted on. 2012 PAC 18434; 2011 PAC 13082. A public body can establish and enforce rules on decorum (and remove a person for violating those rules). 2015 PAC 35101. Public bodies cannot require a speaker to disclose his or her address as a condition to participating in public comment. PAC Op. 14-009. Public bodies cannot require a speaker to register 5 days in advance as a condition to participating in public comment. PAC Op. 14-012. A public body cannot adopt or apply a rule that prohibits criticism of public employees. Mnyofu v. Bd of Education of Rich Township H.S. Dist. (N.E. Dist., April 5, 2016). The important thing for public bodies to remember is that in order to enforce any restriction or limitation on public comment, the public body must have adopted written rules for public comment. Those rules are critical in supporting a public body's right to control public comment at a meeting and is the first thing the Attorney General is going to ask to look at if a citizen files a complaint regarding his or her rights to public comment. Having a longstanding practice in place for public comment will not be sufficient according to the Attorney General, so if you don't have rules in place and you are limiting public comment in any way, you should consider establishing written rules.